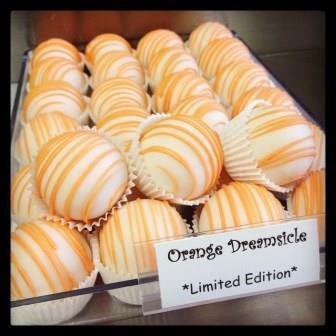 Nothing says summer like our cool and refreshing Orange Dreamsicle cake balls! This limited edition flavor is always a huge hit. Available as a cake ball or cake pop, Orange Dreamsicle is the perfect flavor to complement your summertime barbecue or pool party. Stop by Poparella's to pick up some today or order all of our cake balls and cake pops online at www.cakebites.biz.